A chocolate version of our signature mille crepe. Paper thin hand-made chocolate crepes, each one rich in cocoa and complete with lacy edges. 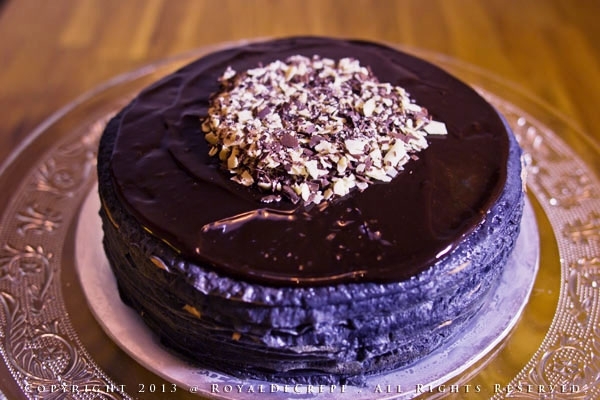 Layers are alternated with Rich Chocolate Cream.